Covelong was a port town that was developed and maintained by the then Nawab of Carnatic Saadat Ali. In 1746, the town was captured by the French. The Dutch took over after and then came the British in 1752. The Dutch built a fort on the beach. The fort is now the Taj Fisherman’s Cove, a five star beach resort. Now, the Covelong Beach is a popular tourist attraction that has a number of resorts along the shores. Water sports are the main attraction here. 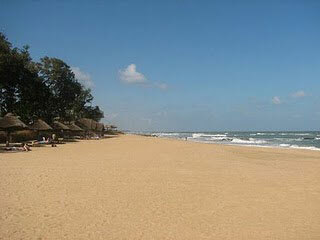 The Beach proximity to the Crocodile bank and Mahabalipuram are also attractive. 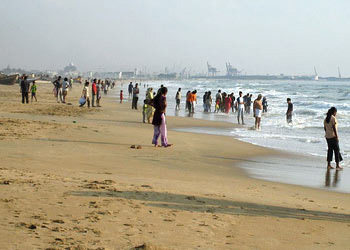 One may drive along East Coast Road from Chennai towards Mahabalipuram to reach Covelong. It is around 40 kms from the capital city. The MTC (Metropolitan Transport Corporation) buses also ply along the Road. .